Welcome to my website! And, no, you're not the first to arrive, but I've had that static graphic on my front page since 1997. To me the joke never gets old, but I also want all visitors to know that I love humor whenever I can find it. I find all too often we take ourselves far too seriously. Also, this is my personal website and I conduct absolutely no business. There are no advertisements and multiple arrows tricking you into going to an outside commercial site when you thought you clicking "next page." I have a number of hobbies I pursue, and some I pursue fairly seriously. As a kid I began collecting things, the first being coins and stamps, but these couldn't go very far because they required money, a nearly non-existence commodity. Then it turned into things from nature like shells, leaves, rocks, and then fossils. My favorite book was the Golden Book of Science, and as I look through this book as an adult, in those pages I see all the wonderful things that caught my interest, especially astronomy. Our family lived at 50th Street and Wells Street in Milwaukee and as a kid I would take many trips to the public museum downtown, sometimes taking the bus, but often walking because I couldn't afford the fare. My favorite exhibit was a wing labeled A Trip Through Time. I was mesmerized by a small collection of fossils which was ignited when I found a trilobite in the landfill quarry behind our house (which is now Doyne Park). My interest in astronomy started very early when a dear neighbor pointed out to me 3 stars of the summer triangle and actually named them! How could anyone know the name of those stars? At that point I wasn't even aware that the same stars were out night after night; I thought a new set of them appeared every night! And with the picture from the Golden Book of Science which showed a picture of the Big Dipper, I went searching for it in vein in the night sky. After we moved to Wauwatosa I received my first telescope where my love of astronomy went to a whole new level. 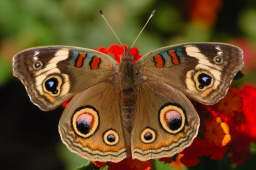 Also, the move to Wauwatosa was at a location which offered both park space and open space within walking distance and with money saved, I bought a butterfly net and collecting bugs became a passion, especially because I found a new friend, Kevin, who also had the same love of bugs and had a butterfly net as well. Finally, my love of photography would have to wait until adulthood as this was such an expensive hobby. 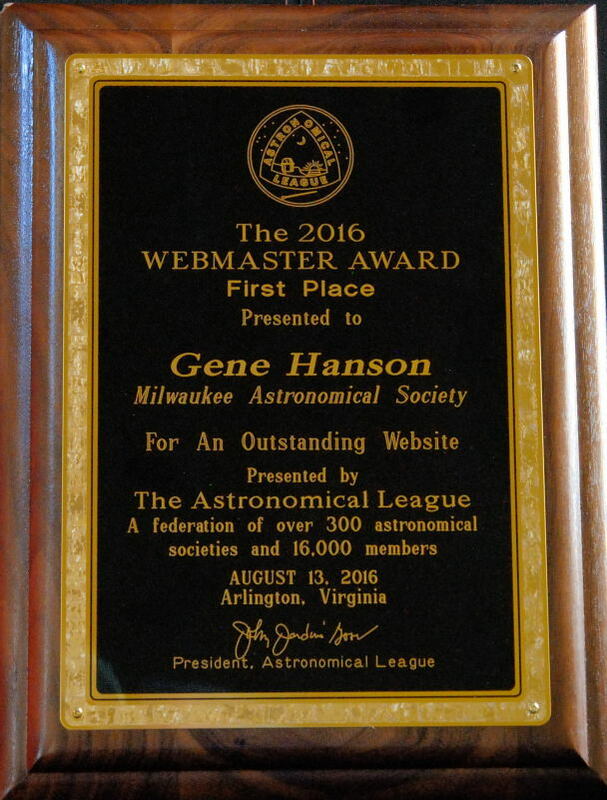 In 2016 I was honored by the Astronomical League by winning their Webmaster Award for my work on the Milwaukee Astronomical Society website: www.milwaukeeastro.org. I am also the webmaster for the Madison Watercolor Society and the Wauwatosa East High School Class of '76.